An American political activist who publicly supports a U.S. religious leader known for his homophobic and anti-Semitic rhetoric is among the keynote speakers at the New Democrats’ biennial convention this weekend in Ottawa. 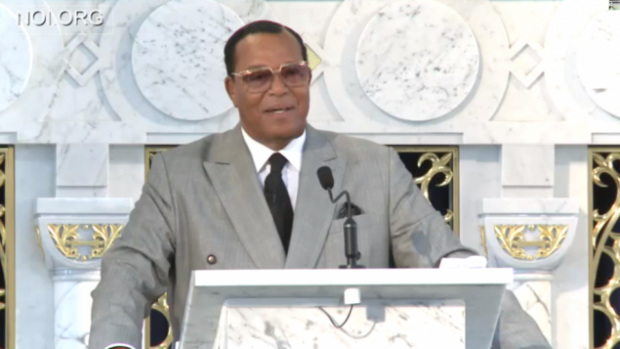 Before a crowded ballroom at the Watergate Hotel, Nation of Islam leader Louis Farrakhan called on President Trump to repent for what Farrakhan called America’s mistreatment of black people over the centuries. 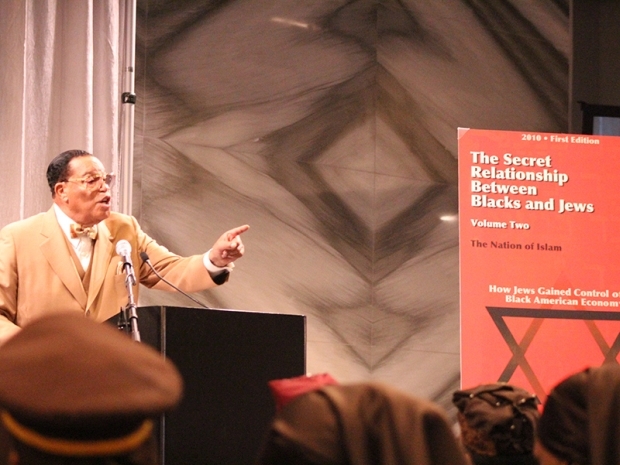 “America is a great nation but America needs to reflect on her sins,” Farrakhan told a gaggle of reporters and hundreds of supporters who showed up Thursday (Nov. 16) for an event billed as “a major message” to the Trump administration. Micah Johnson was a Facebook member of The Nation of Islam and Black Liberation Party, Obama’s old stomping grounds. Obama’s spiritual guru, Reverend Jeremiah Wright, is a fiery hate pastor in a Black Liberation church. 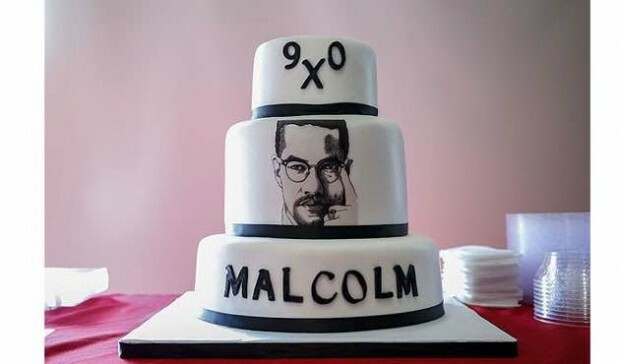 Hundreds commemorated the 90th birthday of assassinated civil rights leader Malcolm X in New York on Tuesday. His daughters Ilyasah, Malaak and Gamilah Shabazz were among those who attended the ceremony at the Shabazz Center, formerly known as the Audubon Ballroom, where the black Muslim activist was murdered in 1965. A blue light shone onto the exact spot where he was gunned down while delivering a lecture. …Initially a prominent figure in Elijah Muhammad’s Nation of Islam movement, Malcolm X broke away from the group in 1964 and embraced Sunni Islam, adopting the name el-Hajj Malik el-Shabazz. Renouncing the separatist ideology of the Nation of Islam, he attempted to internationalize the plight of African-Americans and make common cause with the oppressed people of the world. 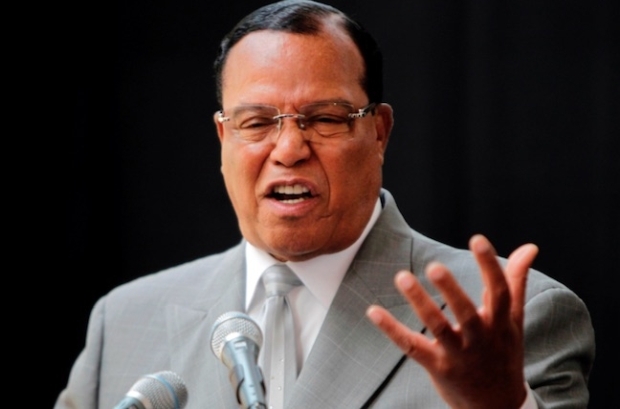 Lord only knows what sort of paranoiac frenzy Glenn Beck would spiral into were he to discover this recent trend in hip-hop: Rappers are increasingly seeking the wisdom and counsel of Minister Louis Farrakhan, leader of the Nation of Islam. And not just the Muslim rappers you’d expect, like Lupe Fiasco or Mos Def; since the beginning of the year, superstar rappers like Kanye West, Young Jeezy and Killer Mike have all met with Farrakhan. I can see Glenn Beck flying between multiple chalkboards, manically scrawling the connections proving the imminent danger of some coming caliphate. 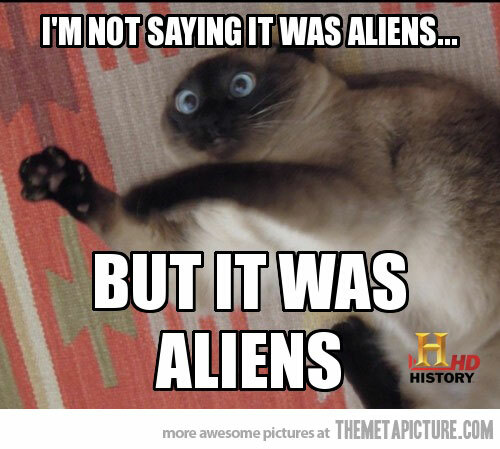 How had we not seen it all along?! ISIS HAS INFILTRATED THE MINDS OF OUR YOUTH THROUGH THEIR HIPPITY HOPPITY! 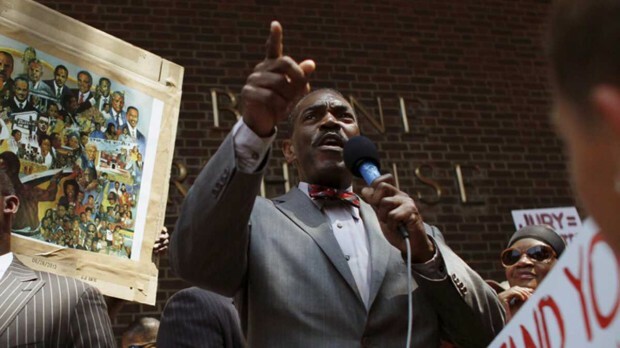 Kumbaya: #FreddieGray protest brings together Crips, Bloods and the Nation of Islam? 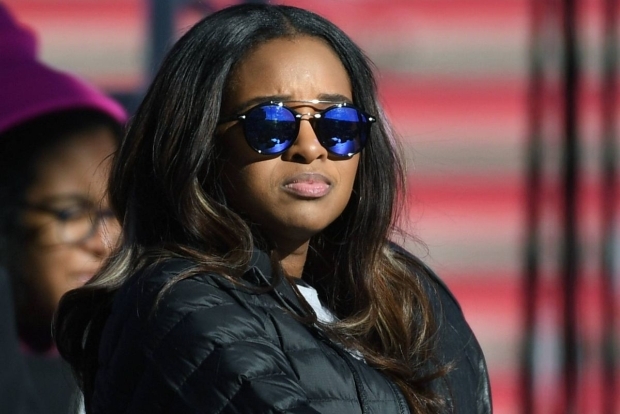 Apparently being black trumps all in this case. 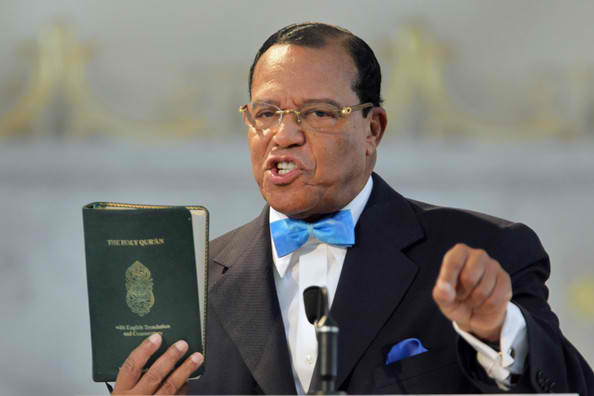 The Anti-Defamation League said Nation of Islam leader Louis Farrakhan confirmed his “status as the leading anti-Semite in America,” following a speech he gave this week in which he blamed Jews and Israelis for the deadliest terror attack in American history. 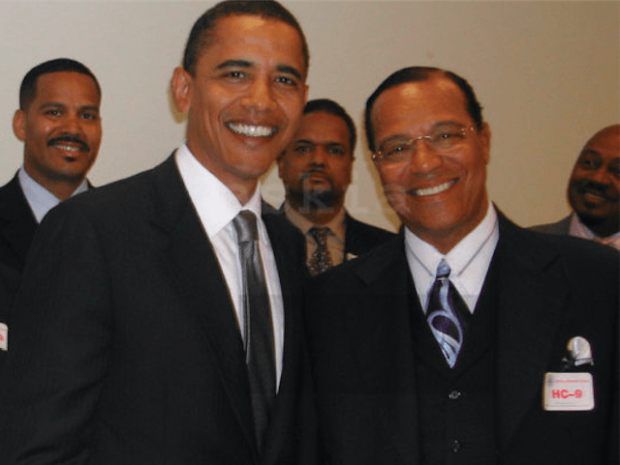 This is standard stuff for Farrakhan and crackpot Nation of Islam. (Even crazier than plain vanilla Islam, but they are permitted to attend the Mecca pilgrimage). 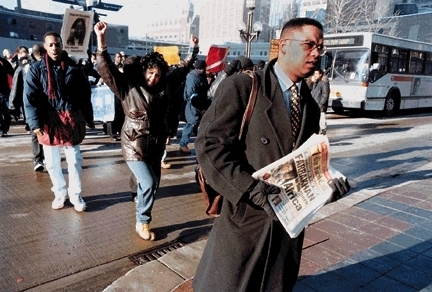 A photo of Ellison leading a march against police brutality in 1998, holding what looks like several copies of the Nation of Islam’s Final Call. Source. Keith Ellison’s legislative aide is sending around a Dear Colleague letter urging Congressmen to boycott Netanyahu’s speech to Congress. The Philadelphia chapter of the NAACP has elected a new president. Minister Rodney Muhammad has led North Philadelphia’s Mosque Number 12 of the Nation of Islam for 23 years. He’s moving from first vice president to president of the local NAACP chapter. …Muhammad is replacing Jerry Mondesire, who was forced out by the national NAACP amid questions of fiscal mismanagement. Muhammad called the turn of events “unfortunate,” but he said Mondesire helped many people who were victims of discrimination. 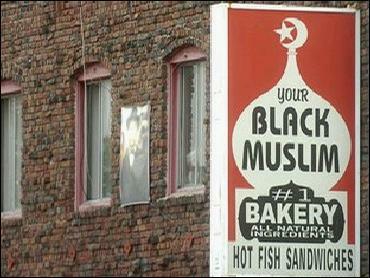 OAKLAND – A former member of the now-defunct ‘Your Black Muslim Bakery’ in Oakland was sentenced Friday to 20 years in prison for his role in the abduction and torture of two women seven years ago, a spokeswoman for the Alameda County District Attorney’s Office said. Richard Lewis, a 30-year-old former football star at Mission High School in San Francisco, will be back in Alameda County Superior Court on Jan. 30 for the execution of his sentence, district attorney’s spokeswoman Teresa Drenick said. Prosecutors said the May 17, 2007, crime was a bungled attempt to get money to save the bakery from bankruptcy, as it faced a foreclosure hearing four days later. The bakery did go bankrupt and closed its doors later that year. Prosecutor Chris Lamiero alleged that Lewis, bakery leader Yusuf Bey IV and several other bakery associates kidnapped and tortured a mother and daughter to get them to reveal where a drug dealer they knew kept his money.